Year end financial report: The 2014 General ministry fund Budget $183,420 Offering/Earnings income vs expenses = year end goodness of $6,954.10 in General ministry fund. ($2,500 will be applied to pay down mortgage debt). Mortgage Fund: Income vs Expenses – goodness of additional principal payment of $7,635.49 Mt Bethel is able to apply $10,135 additional payment to Mortgage principal pay down. Mortgage as of Dec 31, 2014 = $392,188.39 (Debt began 2004 @ $700,000). Our Endowment Fund: $5,867. Our 2014 Christmas Offerings totaled $1,387 of generous giving to the MN Annual Conference mission project Reach-Renew-Rejoice. RRR is a Statewide mission strategy for starting new churches and growing existing churches by equipping them to increase spiritual vitality. Thank you, thank you, for generous Christmas offerings in Jesus' name to reach new people and renew the Church in Minnesota. The second full year Mt Bethel has participated in SCRIP, our 2014 SCRIP facts: Mt Bethel Church have had 38 families participate, selling 469 cards at the SCRIP Table on Sunday mornings (in the fellowship hall). Total sales near $49,000. Percent rebate earned (6.1%) totaling = $3017.44 for Mt Bethel ministry(s). ALOT of Cub Foods SCRIP purchased. More Mt Bethel Shop with SCRIP information- click here. Advent - Christmas 2014 Sermon Series delivered by Pastor Dave. The Hope of the World; Hope of Action, Hope of Comfort, Hope of Justice & Hope Eternal. In the photo are representation of Hope testimonies. Hilltop Elementary School Partnership- We gathered 60 mittens, gloves, hats and scarves for school aged kids the month of December. Warm hands plus warm heads = a warm heart for learning. The donated hats and mittens are identified as given in Jesus name from Mt. Bethel Church. Thank you for your generous giving. December 15, 2015 Mt Bethel Church became Debt Free from the $28,000 Dakota County 2010 Street Assessment. The church had been paying bi-yearly on this assessment loan, 12/15/14 a lump sum payment was made to erase this debt. Open House Saturday, Dec 20th, at Pastor Dave & Lisa's home in Roberts, WI. Over the river and through roundabouts, to the Brown's house many did go. A warm greeting and table over flowing with delicious holiday goodies was the backdrop to conversations of laughter, love and joy. Merry Christmas. A time to give... Neighbor's Inc. Love Your Neighbor We, Mt Bethel Church gathered new unwrapped children's clothes and toys and gift cards through our Christmas GIFT TREE. 35 plus gift cards for a totaling over $430 was collected along with delivering 2 HUGE boxes of boy toys and more to Neighbor’s Inc. So thankful to receive the generosity for families in need in West St. Paul, So St Paul & Inver Grove. Thank you for giving in Jesus name sincerely, Neighbors Inc. Thank you members and friends of Mt Bethel Church for your generosity in Jesus name. God’s love that became flesh in Jesus continues to become flesh whenever we help those in need with our prayers, presence, gifts, and service. Members and friends of Mt. Bethel caroled to the homes up and down 70th Street, our neighborhood. After caroling in 48 degrees & fog, yes in MN on Dec 14th, we returned to church for cookies and hot cocoa! Sunday, Dec 7th. Energetic scouts and their siblings caroling. Our Advent, getting ready for the Christ Child, began with decoration preparations, a pancake breakfast, decorating, a little worship- Pastor Dave's Advent encouragement and more decorating of the Sanctuary & Narthex for Advent, Christmas & Epiphany worship season. Many came, 30-something and were a part of eating, fellowship, worshiping, creating, and lots of Hope decorating. Thank you to Hanging of the Greens leadership, Worship team co-chairs Kathy Behrendt and Joann Larson. Church 2 Groups began forming in July as a result of positive feedback from our Wednesday Lenten services feedback and concluded in December. The initial goal of the small groups was to use the same type of format used during Lent. A "host" home to gather, share a meal and enjoy fellowship. Fellowship of sharing "Highs and Lows" of the week/month, share one prayer concern, pray for each other, read a passage of scripture and discuss it. When Pastor Dave is present communion is shared. This model of 'church' is found in Acts 2:42-44 "The disciples devoted themselves to the apostle's teaching and to fellowship, to the breaking of bread and prayer." 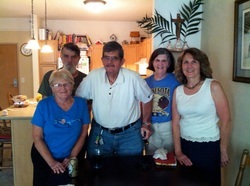 Five, home Church2 groups, 35 some regular attenders, plus more casual attenders July to December 2014, results in conversations outside of Sunday morn of how we are experiencing God in our daily lives. Mt. 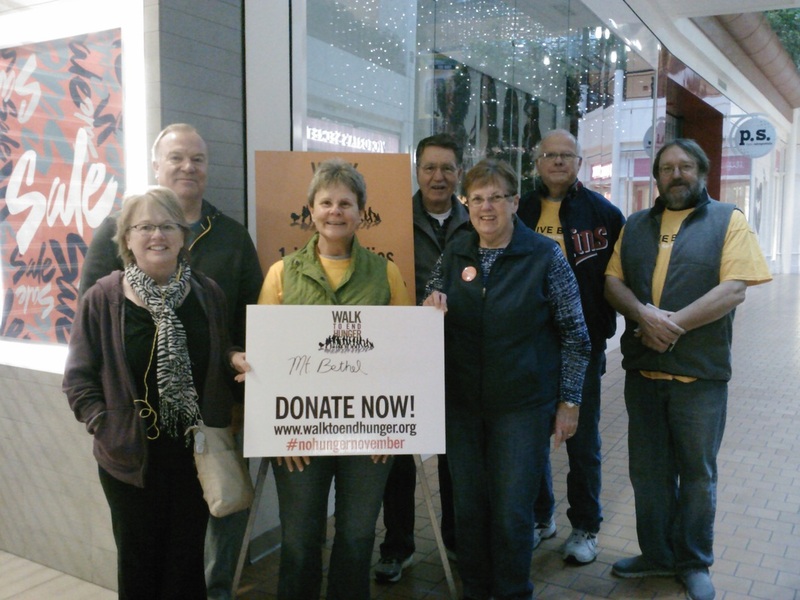 Bethel had a team participate in the family friendly 5K Walk to End Hunger on Thanksgiving Day, 7am, November 27, 2014 at Mall of America. Members & friends of Mt. Bethel Church participated by joining our team captain, Tim Bomstad in walking &/or by making a donation to end hunger. Our donated Walk to End Hunger dollars will go back into our community to Neighbors Inc food shelf in So St. Paul. Qur team goal was $1000, as of Thanksgiving morn, $1028 dollars was collected for Neighbors Inc food shelf. Thank you for your generosity to help end hunger in our community. Additionally, 151 pounds of food was collected at Mt Bethel and delivered to Neighbors Inc Food Shelf. A shoebox packed with Christmas goodness can have a big impact. 68 shoeboxes make a BIG BIG impact. 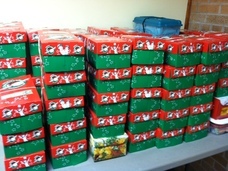 68 Shoeboxes is what Mt Bethel and STORM Faith communities gathered for Operation Christmas Child. (our goal was 50 shoeboxes) What we packed into our 68 boxes is fun, what will come out of them is eternal. Thank you for your generosity of being a part of changing children’s lives all over the world in Jesus’s name through the power of a simple gift with Operation Christmas Child. OCC call to prayer. We united with 200 United Methodist congregations in Minnesota with a sermon series called “Reach, Renew, Rejoice” as we prepare our hearts, minds and spirits to make our financial commitments to Jesus through Mt Bethel Church for 2015. Week 1, Reaching our neighbors and world with Good News. Week 2, Renewing our lives by practicing vital faith and commitment to Jesus. Week 3, Rejoicing in all the great things that God is doing among us. Week 4, Commitment Sunday as we consider the most generous gift of all, Jesus! Following worship we gathered for an All Church potluck; good rejoicing with food and fellowship. Who doesn't enjoy going to the apple orchard with the purpose of serving others? Sixteen of us took the opportunity Thursday, Oct. 16 to go to the apple orchard in Webster, MN to pick apples for the food shelf at Neighbors Inc. The afternoon begin with a presentation by Nelson's, the orchard owner. There was something for every age and ability to do, from picking to washing the apples. 21 crates of apples were picked totaling 912 pounds for Neighbors Food Shelf! A day of so much goodness wrapped into sunny and 70 degrees! ﻿Serving. 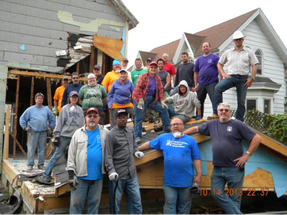 River Bend Mission Team's Crisfield2 October 11-19, 2014. A smaller team, eight volunteers- Rod St., Howard, Lewis, Ron, Matthew, Bob, Carolynn (the Colonel) and Rob Scofield. Mt Bethel leadership (Pastor Dave and lay leader, Polly T.) took the opportunity to attend, a best-practice workshop sponsored by Minnesota Annual Conference of the United Methodist Church: Get Their Name: Grow Your Church by Building New Relationships. October 12, 2014 1:30-4:30pm at the convenient location, CROSSROADS United Methodist Church in Inver Grove Heights. Presenter, Co-author Bob Farr; encouragement of practical relational strategies and best practices for Reaching new people, Renewing the church, and Rejoicing in what God can and will do through us. Our leadership board is reading this best-practice text as we make plans to cultivate the spiritual vitality of those we know and of those we have yet to meet. Members and friends of Mt Bethel participated in or pre-adopted ducks for the 7th Annual Great Neighbors's Duck Races held Saturday, October 4, 2014 ﻿ On Southview Blvd in South St. Paul during the On The Road Again SSP community celebration. All duck race dollars went to Neighbors, Inc. for programs serving low income people in northern Dakota County. A ducky day of duck racing for a good cause was a component of South St Paul's community celebration of On The Road Again featuring live entertainment, auto show, food, live animals and Booya competition. Thank you Mt Bethel for your continued support of Neighbors Inc.
Church 2 Groups began forming in July and continue to the end of the year as a result of positive feedback from Mt Bethel's Wednesday Lenten service format. The goal of this small group ministry is to use the same type of format used during Lent. A "host" home to gather, share a meal and enjoy fellowship. Fellowship of sharing "Highs and Lows" of the week/month, share one prayer concern, pray for each other, read a passage of scripture and discuss it. When Pastor Dave is present communion is shared. This model of 'church' is found in Acts 2:42-44 "The disciples devoted themselves to the apostle's teaching and to fellowship, to the breaking of bread and prayer." Five, Church 2 groups are meeting monthly (July to December 2014) in the host homes of: Brausen, Alich, Akermann, Tabbert and Gregg. More than thirty, church members' and friends are participating in the small group ministry of Church 2. On a beautiful Fall Sunday, September 21, 2014 over a dozen of us from Mt Bethel attend a milestone celebration of 40 Years of Ordination for Pastor John McEachran at St. Croix Valley Church in Lakeland MN hosted by St. Croix Valley and Newport UM Churches. Pastor John was called to serve Mt Bethel Church from July 1998 to June 2013. Serving those who serve, teach, encourage our neighborhood kids. We served our neighbors down the street, Hilltop Elementary faculty & staff lunch on August 27th, 2014. We are praying for their strength, courage, love, wisdom, mercy, forgiveness, peace, hope, and grace as they serve, teach, love the children/youth of our Inver Grove Heights community. May it be the BEST year yet. Our Deepest Sympathy is expressed to the Beverly Hargis family. “Back to School Bash” 2014, Saturday, August 16th, 11a-2pm at St Patrick's Church. An IGH ecumenical ministry providing over 1000 backpacks with school supplies to area elementary, middle school and high school kids in need. Back to School Bash had a station for backpack pick up and lots of stations for community social. In addition backpack distribution and special appearances from Captain Kindness there was a social of: games, inflatable, clothing tent, face painting, Fire & Rescue vehicles, prayer tent, hotdog lunch and lots of Peterson's Popcorn ice cream (30 tubs) given away. 13 from Mt Bethel Church participated in the backpack school supply assembly-line fellowship Wednesday, Aug 13th, 6:30pm at St. Pat's Church. Over 100 people from 9 IGH churches filled over 1050 backpacks with school supplies for preschool, elementary, middle school and high school youth. Saturday, August 16th, there was LOTS of people power serving together from 9 IGH churches to make the Back to School Bash 2014 and backpack distribution a ministry of goodness and blessings possible. Backpacks and school supplies were donated by generous giving from IGH churches, community organizations and businesses. Thank you God for the opportunity for Bring'n the Kingdom to IGH in your beautiful weather day with many serving together in Jesus name. K, 1st, 2nd: 2 Folders, 2 Wide Lined Notebooks, 1 Box Crayons, 1 Marker pk, 2 Pencils, 1 Glue Bottle, 2 Glue Sticks, 1 Pink Eraser, 1 Scissors. 3rd, 4th, 5th: 3 Folders, 2 Wide Lined Notebooks, 1 Package Wide Line Loose Leaf Paper, 1 Marker pk or Colored Pencils, 3 Pencils, 1 Red Pen, 1 Highlighter, 1 Glue Bottle or Glue Stick, 1 Pink Eraser. 6th, 7th, 8th: 3 Folders, 3 College Ruled Notebooks, 1 College Loose Leaf Paper, 1 Marker pk or Colored Pencils, 4 Pencils, 1 Red Pen, 2 Black or Blue Pens, 1 Highlighter, 1 Glue Bottle, 1 Pink Eraser. Some History: The first Methodist Mission in Minnesota began in 1837, when missionaries traveled up the Mississippi River to Kaposia. When trouble erupted with Chief Little Crow in 1839, two years after the founding of the mission, the pastor in charge moved part of the mission to the east side of the Mississippi River near the famous Red Rock of the Sioux, a sacred granite boulder painted with red stripes and worshipped for generations by the Indians. Pastor Benjamin Kavanaugh built a two story log cabin. The first floor became a school for children, the upper floor the pastor’s home. In 1869 Red Rock became the site of Methodist camp meetings. John Holton donated 10 acres to the “Red Rock Camp Ground Association,” which held meetings each July that drew single-day crowds of 20,000 people. Special steamboats and trains brought people from St. Paul twice a day. The Camp Meetings continued for decades in Newport. Both the Red Rock and the restored cabin, the oldest Methodist building in Minnesota, can be seen on the grounds of the Newport United Methodist Church. Red Rock Camp Meetings were held near this site for many years. ﻿August 10th, 2014, the Red Rock Camp Meeting was remembered and celebrated. Bishop Bruce Ough, of the United Methodist Minnesota Annual Conference spoke at the Red Rock Camp Meeting Service at 3:00 p.m. Sunday, August 10 with Pastors John and Judy McEachran facilitating on the grounds of Newport United Methodist Church,﻿ 1596 11th Ave., Newport MN. Our STORM Campers. Click image for Lots of Pictures. (Service To Others in Relational Ministry) Headquartered out of Wesley United Methodist Church, Marshall MN, July 20-26, 2014. Camp director, Pastor David Brown. 5 youth and a driver from Mt Bethel Church in Inver Grove Heights, MN attended. Thank you for praying them through a week of ﻿Bring'n The Kingdom﻿ to others in out-state Minnesota in Jesus name. History of STORM camp. Lots of photos of Bring'n The Kingdom to Marshall, Minnesota. July 13, 2014 All Church Picnic, may you bloom where you are planted. July 13, 2014 after morning worship our annual All Church picnic was held at the Brown's home. It was a beautiful July Sunday gathering with friends, fellowship, a prayer blessed meal of delicious BBQ chicken and potluck sides on the western Wisconsin prairie. Sunday, June 29th, Worship: Courtney and Kyle Tompkins (Ardie & Don's grandkids) gave testimony to their learnings and experiences from their recent mission trip to Dominican Republic. Here's a summary of our mid-year charge conference meeting. Celebrating 1-year of Pastor Dave & Lisa Brown's appointment at Mt. Bethel Church. Review 12 months of OUTREACH ministry- June 2013 to June 2014. Recognized faithful servants: Jack M who served as offering counter and 40 years as financial secretary. We appreciate Jack's faithfulness and diligence in recording our offerings each week. Francis & Marilyn E who have been communion preparers for nearly 20 years getting the elements ready for worship every other month. We are grateful for your service. Don R has served as Finance team chairperson for many years and has been involved in other matters in regards to church finance. We are so grateful for his dedication and leadership at Mt B.
Casted vision for the next 12 months: 1] Community compassion (Hilltop Elementary), 2] Developing a system of discipling families and persons of all ages (Church 2 small groups), 3] Celebrations - Worship challenging energetic, artful, creative, inspiring weekly worship (cooperate worship with house churches), 4] Determine Core Values of Congregation. Election of leaders for 2014-2015. Summary from Finance Chair re: eliminating the street assessment debt of $18,000 by December 2014 and focus on reduction of mortgage debt. Enjoying the good pleasure that God provides. Ecclesiastes 3:1, 4:11-13 & 5:19-20 (NIV) 3:1 There is a time for everything, and a season for every activity under the heavens: 4 a time to weep and a time to laugh, a time to mourn and a time to dance. 11 He has made everything beautiful in its time. He has also set eternity in the human heart; yet no one can fathom what God has done from beginning to end. 12 I know that there is nothing better for people than to be happy and to do good while they live. 13 That each of them may eat and drink, and find satisfaction in all their toil—this is the gift of God. 5:19 Moreover, when God gives someone wealth and possessions, and the ability to enjoy them, to accept their lot and be happy in their toil—this is a gift of God. 20 They seldom reflect on the days of their life, because God keeps them occupied with gladness of heart. Take Me Out To The Ball Game.... United Methodist Day (wet night) at Target Field! Minnesota Twins vs Chicago White Sox at Target Field on, Thursday, June 19. The 7:10p start time was delayed for 2 hours due to rain. Great news to add to fun, memorable damp fellowship of the MtB's 15 attenders - The Twins won 2-4 over the Sox! Go Twins. Go Methodists. Go God!! The Rule of Christ Workshop/training Wednesday, June 11th, 5-7:30 facilitated by trainer Rev. John Mueller Nowell and our River Valley District. -The purpose of Rule of Christ Practice is to gracefully address and resolve concerns/conflicts that occur in a manner guided by scripture calling for discernment of God's will, personal responsibility, empathy, open communication and love. The Annual Founder’s Day Service at Old Salem Shrine was held on Sunday, June 1 at 3:00pm. A room full worshiped in the historic chapel and enjoyed the atmosphere of the 1800’s with the message relevant too for the 21st Century- 'Be a Living Stone' 1 Peter 2: 1-17. Rev. David Brown brought the inspiring message with the service facilitated by Rev. John McEachran. Old Salem is located on Upper 55th Street and Annette Avenue in Inver Grove Heights- located between Robert Street and Babcock Trail. After worship, a lemonade and dessert reception was head on the front lawn. From MN UM Historic Site: Old Salem Church, organized in the winter of 1857, was the first Evangelical congregation in Dakota County. In 1855, two Canadian families (Gackstetter and Laschinger) acquired farm land in the county and promptly requested ministerial leadership. The 1856 Wisconsin conference of the Evangelical Church assigned Andrew Tarnutzer to the Minnesota Territory. By March of 1857, Tarnutzer had organized class meetings in both Inver Grove and Dayton's Bluff. Church in the Wildwood... refection. 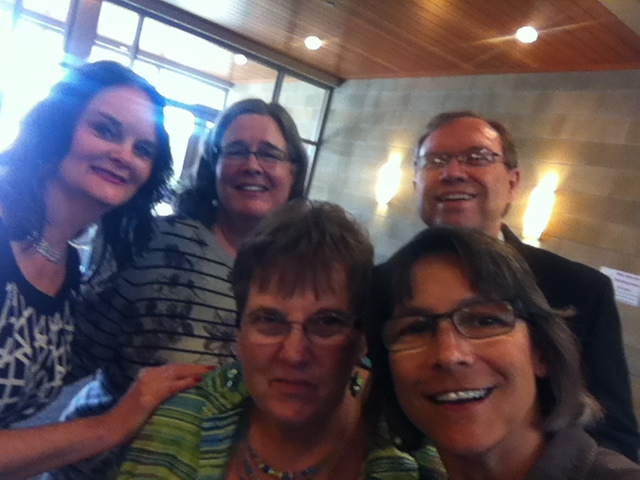 ﻿2014 Minnesota United Methodist Church Annual Conference session review. 3 full days- May 28-30, 2014 in St. Cloud, MN at River's Edge Convention Center- Methodist's gathering at the river. Pastor Dave and Kathy B attended Annual Conference as our representatives. ﻿Our Love Offering gathered Sundays May 18th and 25th totaled $195. Yea!!! for feeding starving children and more.... Thank you for your generous giving and Serving together- State wide and in our church for Feed My Starving Children. The 3rd Wednesday of each month at the Eagan location of Feed My Starving Children members and friends of Mt Bethel Church gather to pack food from 9:30-11:30am. To date, June 1st, we along with our sister United Methodist Churches in Minnesota have packaged 1,551,733 meals in our Million Meals Marathon. Thank you, Thank you for your generosity in giving through serving and offerings. ﻿﻿Our May 2014 Love Offering was added to all the other Minnesota United Methodist Church ﻿Love Offering﻿s at the 2014 Annual Conference. Feed My Starving Children 80%, Project Ag-Grad 10%, Volunteers in Mission scholarships 10% offering distribution. Our Deepest Sympathy is expressed to the Fred Pfeiffer family. Our Deepest Sympathy is expressed to the Jim Short family. 17 of us serving in the neighborhood. Tuesday, May 20th, 6pm we met at Hilltop Elementary for a Spring-time pickup of the grounds. After pick-up we headed over to Mt Bethel for a delicious sloppy-joe and salad(s) supper. April 26th - May 4th. Two from our Mt Bethel Church served on this team to Louisiana. Thank you Shirley and Linda for answering the call to serve, we are praying you through. Saturday, April 26th, The River Bend Mission team left for a mission trip to the Gulf, working with the Epworth Project in Slidell, Louisiana and returned safely May 4th. 25 volunteers from Minnesota (2 from Mt. Bethel Church), Indiana, Ohio, and Texas. Be a virtual team member of the trip by following the trip coordinator, Rob Scofield's blog, photos too on a picasa web site, or the team can be followed on Facebook; "Like" us on Facebook. Thank you for your prayers, encouragement, support, and being interested in the story of serving others! Rod Scofield, Trip Coordinator. Lovely accommodations at IGH's Presbyterian Homes 4th floor gathering space. Around the table: sharing highs & lows, prayer, food and vision planning. What actions shall we take? As Mt Bethel Church this is who we are. What are we going to focus on? What “Actions” to take in relation to our Beliefs. Engaging people in the ministry of church? 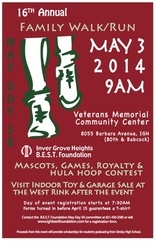 Many from Mt Bethel Church participated in the 16th annual 5K Family Walk-Run, May 3, 2014. What a beautiful sunny day, a bit chilly but after a week of gray skies and rain, it was fun to be out and about with many IGH community members. Our Shelby G. took 1st Place in the 14-17 year old female division. ﻿Mt. Bethel Church serves the Inver Grove Heights BEST Foundation through our time, talents, resources and prayers. The BEST Foundation was created in 1988 to provide scholarships for students graduating from our Simley High School. The Foundation is separate from, but supportive of, the Inver Grove Heights Community Schools. This year the IGH BEST Foundation will award over 125 scholarships totaling more than $172,000 to 2014 Simley graduates. Easter April 20th, 10am Worship. Our Deepest Sympathy is expressed to the Rudy Wegner family. Serving together at Mt Bethel's annual Spring clean-up day on April 12th were Carolyn, Clyde, Jill, Lora, Ethan, Linda, Vern, Dave, Don, Ron, Joann, Craig, Maura, Rolly, Ken, Judy, Judy, Mary, George, Kathy & Kathy and Polly. Coffee, juice and treats were available to launch the morning and maintain energy throughout. Inside and out window & screen washing, purging cupboards & closets, deep dusting, cobwebs collected, gardening, pruning and more. Thank you for your time, care and energy for spiffing the building & grounds up for Holy Week and more. Many hands made for a very productive morning. ﻿Good news of generous sharing, March was the Statewide Food Share campaign, here at Mt. Bethel Church too. Thank you for your generous donations of food and money. $240 and 401 pounds= $641 pounds of food was delivered to Neighbors Inc on April 2nd to meet the needs of Inver Grove Heights and South St. Paul families. Mt Bethel Church is a founding partner of Neighbors Inc. Neighbors Inc.
For more than 50 years, United Methodist congregations have been taking part in a special One Great Hour of Sharing offering, laying the foundation for UMCOR’s (United Methodist Committee on Relief) ministry of relief and hope. Our Mt Bethel Church, One Great Hour of Sharing offerings totaled $187 for UMCOR. Thank you for generous sharing. Wednesday's Lent 2014 for Mt. Bethel Church and STORM House Churches is both young and old learning about Christ's ultimate atoning sacrifice giving us the hope of everlasting life. With guided study and faith sharing stories we are growing in relationship with Christ and each other using a Faith Five practice. Wednesday's during Lent we are gathering at 6pm for a soup supper followed by table cluster worship with Pastor Dave facilitating: sharing, reading, talking, praying & blessing concluding at 7:30p. Special gratitude to our executive chef team(s) of: education, trustees, worship, missions-outreach-evangelism & STORM Faith community for all the attention to details of serving us. A yummy in the tummy thank you to potager chefs for the hardy homemade soups: STORM (Chicken wildrice & sloppy joes) Judy (Veg Hamburger), Al (Louisiana gumbo) Gary & Kris (chili), Tim (Italian sausage veg bean kale soup) and weekly potager chef Campbell's (chicken noodle). The gracious hospitality of serving nourished our bodies and gave us strength to serve thee. Thank you. Around the table conversations- THE FOCUS FOR WEEKS 5 & 6: Scripture- John 11, Matthew 27, Psalm 22. Unexpected. Imagine the confusion of the sisters Mary and Martha, the disciples and the crowd when Jesus called out, “Lazarus, come out!” Imagine the fear and amazement when the man that they had believed dead appeared at the entrance. The word unexpected can’t begin to cover the event at the tomb. What kind of man was this Jesus who could not only heal and cast out demons, but also raise people from the dead? Was Jesus indeed the Messiah? Prayer; I/we join your disciples in amazement and wonder at your resurrection power Jesus. Death has no power over you. I/we remember you said, those who believe in me ...even though they die, will live. Lord Jesus, death has no power over you. You showed us again in the empty tomb three days after you were crucified. Bring life to our broken world. Bring life to our dying relationships. I/we remember you said, those who believe in me ...even though they die, will live. I/we ask for a resurrection this day, Lord; A miracle in our lives. Open ears. Open hearts. Open lives. I/we remember you said, those who believe in me ...even though they die, will live. Amen. Through the grace of unexpectedness, May Jesus the Savior give you new life and hope. Around the Table conversations- THE FOCUS FOR WEEKS 1 & 2: Scripture= John 3 & Matthew 4. Nicodemus came to Jesus looking for some straight answers about Jesus’ mission. Jesus tried to tell Nicodemus about a spiritual connection between God and his people. The spiritual interconnection happens when one is reborn as a spiritual being. John 3:16 is the best known verse in the Bible and clearly states why God put Jesus on earth. A Faith story must be drawn from the true living life experiences. What is a significant “born from above” story you carry in your heart?. A story from your own life in which they learned some- thing profound from Jesus’ teachings. What did you learn about yourself, your life, or your faith? What about Christ’s teaching was unexpected and life-changing (re-born)? A journey of witness,here's Heather's story. 1 Timothy 4: 6 If you point these things out to the brothers and sisters, you will be a good minister of Christ Jesus, nourished on the truths of the faith and of the good teaching that you have followed. 7 Have nothing to do with godless myths and old wives’ tales; rather, train yourself to be godly. 8 For physical training is of some value, but godliness has value for all things, holding promise for both the present life and the life to come. 9 This is a trustworthy saying that deserves full acceptance. 10 That is why we labor and strive, because we have put our hope in the living God, who is the Savior of all people, and especially of those who believe. (NIV) Heather Dorniden-Kampf being a witness. She's Ben's wife, Frank and Connie's daughter, Kara's sister, a friend, a runner, a teammate, a leader, a follower, a believer, loved and loving, blessed. 1) Community Compassion; Identifying a signature community outreach. VISION: select our neighbors, Hilltop Elementary as our signature ministry. 80% of our energy (time and resources). Ideas could include, not limited to: Teacher prep assistance, Lunch to staff, Promote each grade level special activity, A financial resource for specific family/student needs, Books r fun/kids who can’t afford a book we’d buy a book, Purchase school supplies, Assist/help with people power- with their annual carnival, Ask Hilltop staff & administration what needs they have we could meet. Great discussion on church vision and ideas of implementation of #1. Ran out of time for #2 & #3 visioning. VISION retreat to be continued…. VISION part 2: May 3rd 11:30-5pm Lunch included. Wednesday, February 12, 2014; 3:30-4:30pm a mid-week Bible Study class began meeting in Pastor's office. With Pastor Dave facilitating, the small group is studying the Gospel of Mark. There is room around the table for more to join in our study of Mark. Here's the outline of how we are studying Mark; verse, paragraph, chapter and book. Five parts of Bible study: 1) Observation: What do you see? 2) Interrogation: Ask questions. Bringing parts into the whole. 3) Interpreting: What does it mean? Be simple. 4) Correlation: Other scripture(s) to support. 5) Application: The purpose for me today. January 2014 was record COLD in Minnesota. We heard "polar vortex" in news reports often, felt it too. To warm our spirits, we began making Valentines for our neighbors down the street, Hilltop Elementary. Serving together, members and friends; young and older, created 144 Valentines for Hilltop Elementary's faculty and staff. Members of our MOE Team, (Mission, Outreach, Evangelism) delivered the Valentines to Hilltop Elm on February 13th along with some Dove Chocolate. Gotta have chocolate. Our Deepest Sympathy is expressed to the Cal Blomquist family. Generous Christmas time Giving report. January 2014, it is with "Praise God from whom all our blessing flow" that we can report that through generous 2013 Christmas-time offerings, Mt Bethel Church EXCEEDED our pledge and has offered $3,983 to Imagine No Malaria mission and ministry. Thank you for generosity of offering Christ by Outwardly Utilizing Talents Reverently Extending A Christian Hand (OUTREACH) in imagining no malaria. Mt. Bethel Church made a 3-year pledge in 2010 of $3000 to Imagine No Malaria by the conclusion of 2013. Here's the Plan to end Malaria- click here.